womenworldculture.com - Where can I buy official WOCD and Aurora award plaques? Where can I buy official WOCD and Aurora award plaques? C & T Specialties, Elk Grove, California is the official, exclusive manufacturer and distributor of Women of Color Day, WomenWorldCulture and The Jazz Generation logo products, not including CDs, DVDs and Books available in the WomenWorldCulture Bookstore or the International Association for Women of Color Day website, womenofcolorday.com. C & T Specialties produces Outstanding Women of Color Award plaques and Aurora Community Award plaques. Each plaque is numbered making it unique. The International Association for Women of Color Day is a network and social-entrepreneurship, not a membership organization, with the primary purpose of promoting March 1 as Women of Color Day annually and globally. No membership fee is required to be a part of this Women of Color Day network or to commemorate Women of Color Day. The International Association for Women of Color Day encourages local people to honor members of their communities and to collaborate with other communities to bring attention to the achievements and contributions of women and girls of color. 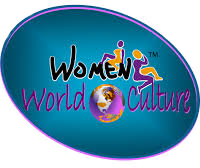 Recognition is also encouraged of the contributions of men/boys and women/girls, organizations and businesses, of all ethnic/cultural groups who encourage and C & T Specialties, Elk Grove, California is the official, exclusive manufacturer and distributor of Women of Color Day, WomenWorldCulture and The Jazz Generation logo products, not including CDs, DVDs and Books available in the WomenWorldCulture Bookstore or the International Association for Women of Color Day website, womenofcolorday.com. n which equality and justice prevail.